Peng Zhao is Chief Executive Officer of Citadel Securities. He oversees all market making activities, including trading, sales, research and technology. 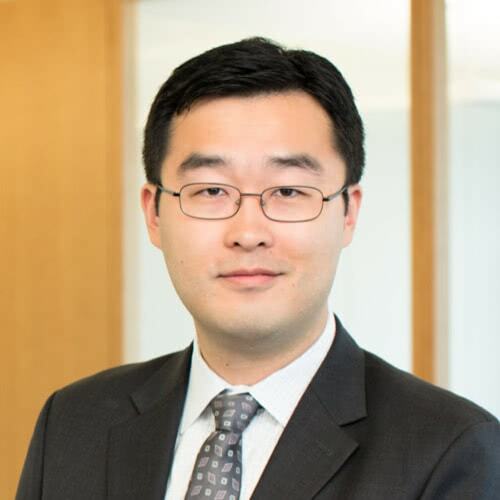 Peng previously served as Head of Global Market Making, where he oversaw Citadel Securities’ global strategies across all touch points to the market: direct on-venue market making, retail brokerage flow, and institutional client flow. He began his career with Citadel Securities in 2006 as a Senior Quantitative Researcher. Prior to joining Citadel Securities, he worked for Lehman Brothers and served as a Quantitative Researcher for Evnine & Associates. Peng serves on the Board of Trustees for the Museum of Science and Industry in Chicago. He received a bachelor’s degree in applied mathematics from Peking University, and subsequently attended the University of California at Berkeley as a Berkeley Fellow and graduated with a doctorate in statistics.